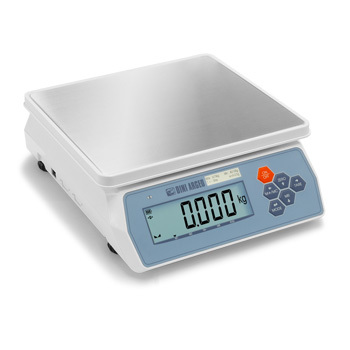 This compact electronic scale is lightweight, easily transportable and includes battery operation. The high-performance load cell allows weighing with a resolution of 30,000 divisions. Its compact design and built-in long battery life make it ideal for weighing in any location where main power is not available. The weighing program has integrated totalisation and piece count functions. The large backlit display makes it easy to read the weight even in low light conditions.